I had no idea my girls were upstairs creating little master pieces for Valentines day. Alyssa came up with this piano box idea all on her own. I thought it was so creative. I love the tiny keyboard and the minuscule sheet music. After much brain storming and several different attempts, Halle finally figured out she wanted a cute little "garden scene" box. The Valentines are to be dropped in the watering can. You can't really see it, but the spout of the watering can has "water and droplets" coming out. Again, another fabulously creative box by my girls. Also, Sponge Bob and Patrick would like to wish you a Happy Valentines. I found about 15 lovely shots of Sponge Bob and Patrick computer game screen shots on my camera when I sat down tonight to blog about the girls' boxes. I have no idea...Little Nut Jobs. They make me smile every single day. Hope you have a lovely LOVE day. Squeeze the ones you love a little tighter and maybe even give them a smooch or two. 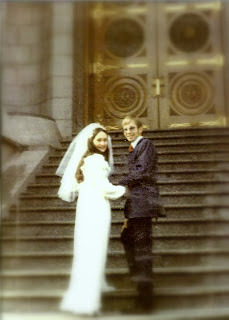 AND Happy Anniversary to my parents. Thirty eight years and going strong. FYI, this is long post and considered personal journaling. Do not feel like you need to read it. Pictures and more frequent updates will be coming soon! 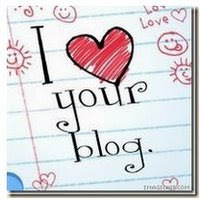 I've decided that it is high time to get my rear in gear and start blogging again. I have been a pretty good journaler (is that a word?) for most of my life. But, I have also had periods of times where I recorded nothing. One of those times was when I was engaged and got married. I guess I was so focused on the wedding, finishing school, and spending every waking moment with Jarom, that I just forgot to write about it. (Honestly, I was probably too exhausted to even pick up the pen.) I regret SO much not having those precious months written down to go reread over and over again. I don't want to regret missing something now in the future, so here I go, rededicating myself to blogging/journaling. So, WHAT did happen in the month of January? Well, I turned 35. I like 35. It's a good number and I like how I feel. I wish I didn't have quite so many grey hairs, and a whole lot less poundage around the middle, but I'm okay with who I am. Doesn't mean I don't have things to work on and improve, but I think I'm at a good place. I had a great birthday. We went out as a family and saw Mega Mind and got Chinese for dinner. Then Jarom and I went with some friends and saw True Grit. (Two movies in one day was fabulous.) Jarom bought German Chocolate Cupcakes from The Cocoa Bean - which are SOOO YUMMY (and I probably ate 6 over the coarse of the weekend- hmmm poundage around the middle?). He also bought me the right number of gifts for the kids to each give me something. Carter had NO idea what his gift to me was. He kept saying, "Please be a board game! Please be a board game!" Not sure if he quite understood the gift was really FROM him, not for him. It was too funny, and no it wasn't a board game, but some new pants. I got fun necklaces from each of the girls aka Jarom. In January, I also got released from Primary Chorister. Very bittersweet for me. That is one of my all time favorite callings in the church and I was so comfortable doing it. I am now the Relief Society Meeting Coordinator. Basically, I just make sure the monthly adult women's activity goes over smoothly. When the bishop asked me if I would take this new calling, I told him I was a little bit afraid. I can teach and speak in front of kids all day long, but their mama's scare me. Stupid I know, but true. My bishop, who is also a good friend of ours, said, "Look, I wake up every day feeling stretched to my max. So if you're looking for sympathy you're talking to the wrong guy." Totally made me laugh. I think it was the best bishop's interview I've ever had. Elder Jeffrey R. Holland spoke in Jarom's parents' stake. Jarom's dad also spoke and we were lucky enough to get to attend the meeting. I LOVE to hear him speak. He is so passionate about his beliefs. I think we need to hear a good finger pointing, raised voice, pulpit pounding speech once in a while. I loved how he talked about hard times and enduring them. He likened it to being on a boat in the middle of the ocean during a bad storm. THAT is not the time jump out of the boat and try to doggy paddle our way out of the storm. Rather we need to hunker down and hang on with everything we've got. I read several great books, "Room", "Unbroken", and "The Princess Bride", all of which I loved. I really, really love to read and have to be careful so as this love doesn't become a vice. Alyssa joined the jr high swim team and has spent 3 days a week in the pool. She is getting SO great at swimming and I love to watch her. I love knowing that she can swim so well, and hope that if her mother needs her aid someday, she'll be able to save me from drowning. (Yah....I don't swim so good.) Aside from my lungs burning from breathing in the chlorine, I really find swim practice relaxing. I bring a good book, and settle in for the hour watching the kids do lap after lap after lap. I think these things are what January mostly consisted of. LIfe really hasn't been all that exciting and I didn't pull out the camera much, but I really want to get back on the blog updating/picture taking band wagon. Here's hoping for a better February in that regard!